Every day, we look at plenty of things that we don’t really see. It’s a mind-bender of an idea, but it is precisely the inspiration for Jim Kolva’s November exhibit; and it’s hardly as art school-y as it sounds. The 18 pieces in his show, called “The Sign Project,” all have one thing in common: they’re all photos of street signs in their natural habitats — busy intersections, bustling town squares, on roadsides and near historical monuments. In Kolva’s recent travels through Russia and the Baltics this past spring, he was struck by some of the “mundane street signs” there. They were probably no different than the yellow cautionary signs that dot America’s urban landscape, but they caught Kolva’s foreign eye. In one photo, a church juts into a blue sky — crosses and saints looming. 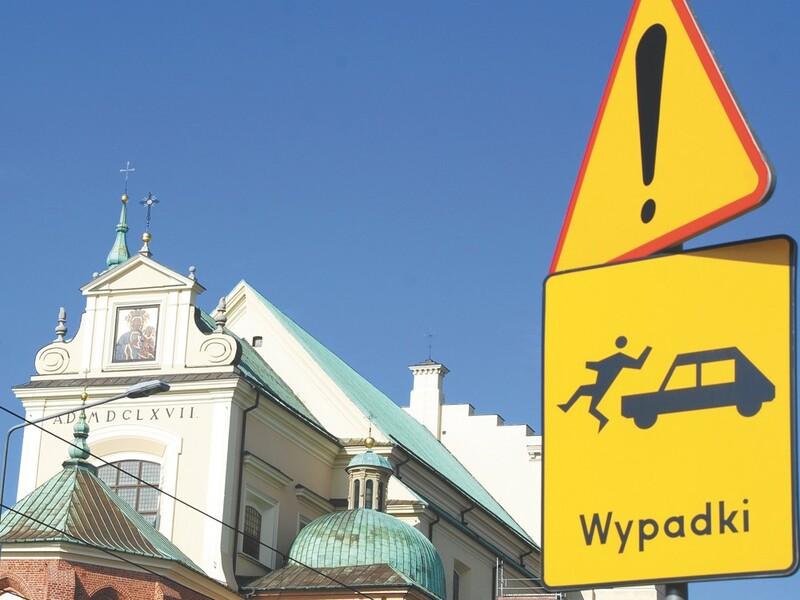 And in the foreground, in clear focus, a bright yellow sign reads “Wypadki” — “accidents” in Polish — and shows a small stick figure being propelled into the air by a moving car. A triangle sign hangs above it boasting a single black exclamation point. The project seems to be an examination of the conflicting symbols we see each day, and perhaps, asks us to pay a little closer attention to what’s around us.